Mobile games are a big money maker. They make so much money, PC game companies decided to get in on the microtransactions bandwagon with many modern games. So when I hear that Fate/Grand Order has raked in $3 billion in global sales, I’m not at all surprised. For those who don’t know, Fate/Grand Order is a free-to-play mobile game that originates from the Fate/stay night ero visual novel. The game, which I provided an initial review for, has the player collect various Servants of different classes (Saber, Archer, Lancer, Caster, Assassin, Rider, Berserker, Ruler, Avenger, and more). One has to power the Servants up to make them stronger and take them into battle. While the battles are the only relevant part of the game, it does have a second half, that being a visual novel. Although the story aspect does offer the player choices to make, outside of a very few moments, said choices have no impact on the game. But if you like reading that stuff, it is there for you. To put Fate/Grand Order’s success into perspective, that figure is the equivalent of a PlayStation 4 title selling 50 million copies at $60. It’s also five times what the most successful PS4 game to date, Horizon: Zero Dawn, would have grossed on its 10 million copies at full retail price. As for where this spending is occurring, it’s unsurprising that 82 percent has come from players in Japan, which translates into $2.46 billion of the total. Another $360 million, or 12 percent, has come from iOS users in China. The United States actually ranks third—albeit a distant one—for spending in the game so far, at 3 percent of the gross amount, or about $90 million. This is still a significant amount of revenue for a market where the title’s source material is considerably less well-known than in Asian territories. The report from Sensor Tower shows that $2.6 billion, or 82% of the revenue from Fate/Grand Order originates in Japan. This is not surprising. After all, the otaku culture in Japan dictates that otaku MUST spend tons of money to show their support for something. And believe you me, Sony/Aniplex understand this well and take full advantage of it, adding in a gambling element as well. All Servants and their enhancing Craft Essence (CE) are in a “gacha” gambling system. Servants between 1* and 3* as well as 1* to 3* CE are in a gacha system that relies on Friend Points to summon them on a random basis. 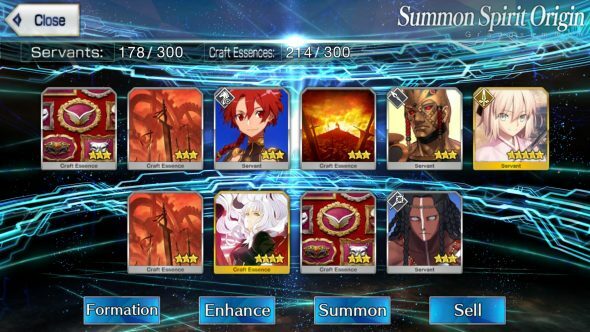 The 4* (SR) and 5* (SSR) Servants and CE are in a separate gacha system that requires premium currency. This premium gacha system also contains all of the 3* Servants and CE as filler. Although the premium gacha is a paywall to get people to spend money on the game, there are opportunities to earn free premium currency in the game. However, this often triggers the gambling impulse, especially if you didn’t get what you wanted. And to further this, the game often has “rate up” events to tease you to spend for your favorite “waifu” or “husbando” Servant who are only available for a short time. To further the point, there is a simulator to show how much it costs (or how much free premium currency you have to save) to get the story Servants (not the limited edition, “rate up” Servants). Roughly $500 spent will net you three 5* Servants. The revenue generated from U.S. sources (and I believe this includes U.S. players on the Japanese servers–Japan’s version of Fate/Grand Order is two years ahead of the U.S. version) accounted for 3% of the revenue. That’s nearly $90 million. Considering how niche the franchise is in America, this amount of money is considered to be quite considerable. Although the free-to-play feeling is strong in the U.S., there’s no denying the lure of the gambling aspect of the premium gacha system. Also, whales and krakens, players who spend hundreds or even thousands a month on mobile games, will happily allow their wallets to be drained of tons of money. 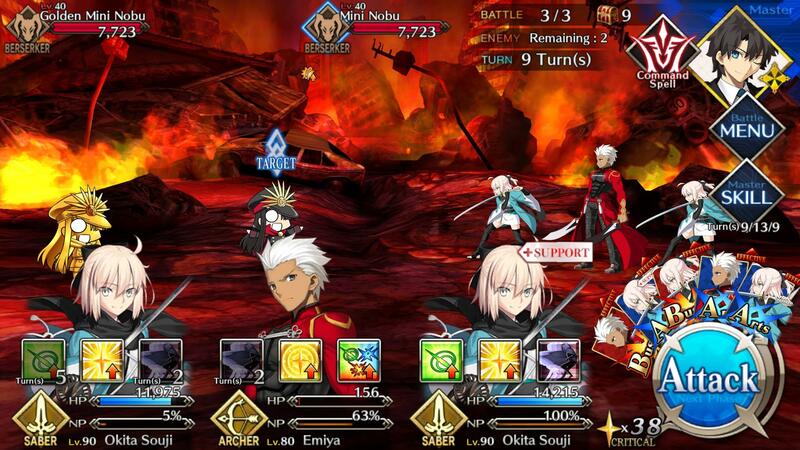 As some of you know, I started playing Fate/Grand Order when the game launched in the U.S. in 2017. But I ended up rage-quitting for several months before coming back early this year. There are certainly elements of the game I like, including the Servant collecting. But I have never liked how the best stuff is behind a paywall. However, there’s no denying that Aniplex/Sony’s money-grabbing methods have worked well for them. I do prefer Fire Emblem Heroes’s method of slowly increasing the odds of getting a 5-star gacha the longer you go without summoning one — but as you note, FGO’s current system seems to be working quite nicely for Aniplex/Sony, so there’s really no incentive to change. I’ve managed to summon a lot of the Servants on my wish list, though I still hope that some day I’ll get Jeanne Alter (still not enough to start shelling out real money to try, mind), and in practical terms it’d be nice to get a 5-star Caster to help with those pesky Assassin-heavy battles. I do find myself taking more day-long or longer breaks between play sessions, though — with most of the previous Singularities, I’d often try to marathon them over a couple of days, but with the latest (the first in the new story arc), I didn’t feel quite so compelled (even though it included a couple of my favorite FGO characters). FGO may not have quite the hold it once did for me, but I still enjoy it now and then. I did get Jeanne Alter and finally have her to level 90. Getting her skills up is another matter though. Since I’ve returned, I’ve done a bit of research on how to be a better player. But at the end of the day, the game is all about pay to win. I wish FGO were more like Star Wars Galaxy of Heroes. There, no characters are behind a paywall for longer than 3 months. It may take 9 months to farm them as a F2P character, but eventually, you can raise all of your characters to 7* and given them gear level 12+ to boost their stats. Have you heard the news, ufotable is under investigation for the charges of Tax evasion/fraud. I was unaware. Thanks for the tip.